Although often compared, the southern Lao city of Savannakhet is no Luang Prabang. 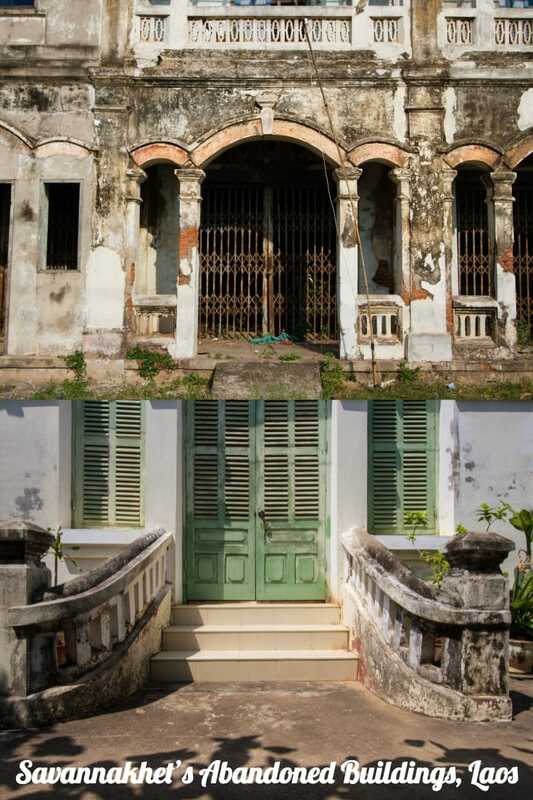 There is plenty of French colonial-era architecture in the old part of town and, like Luang Prabang, the city is located on the Mekong River but that’s where the similarities end. Savannakhet is faded-grandeur at its best. 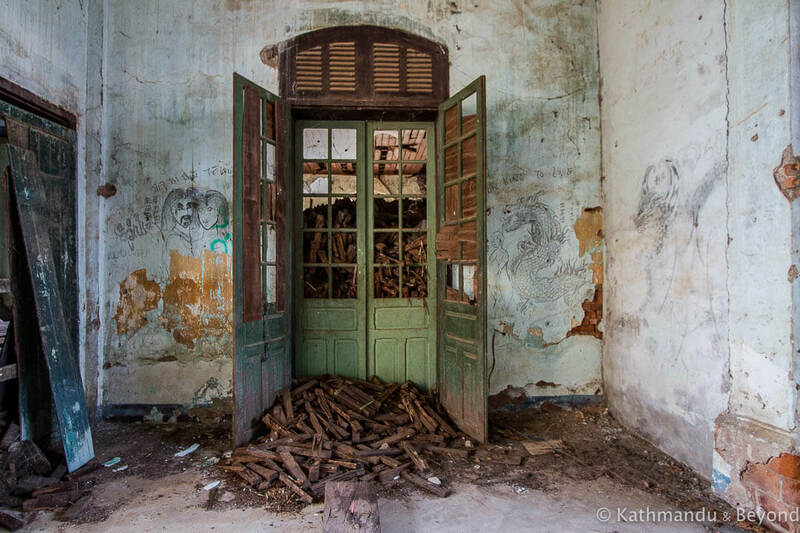 Whereas in Luang Prabang, many of the French-era buildings have been lovingly restored and turned into cafes, restaurants, shops and even boutique hotels, this process hasn’t quite happened in Savannakhet yet. There are a couple of colonial buildings in the old town that have been brought back to life and converted into appealing bars but, for the best part, many of the city centre’s bygone architecture hasn’t been touched and remains in a beguiling state of disrepair. Another thing that sets Luang Prabang and Savannakhet apart is the latter’s distinct lack of tourists and tourist infrastructure. 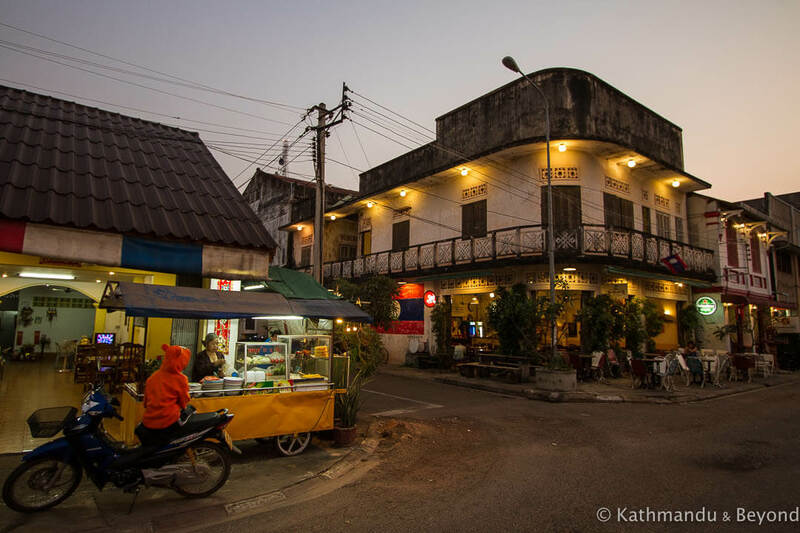 In Luang Prabang, you can find lively bars, plenty of places to eat and a tuk-tuk when you need one. In Savannakhet, apart from the couple of bars mentioned above, entertainment is restricted to drinking Beerlao at one of the shacks on the Mekong River (idyllic if only the mosquitos would piss off!) or hanging out at the makeshift bar outside the local shop with the handful of expats who call the city home. The tourist board is permanently closed and finding somewhere to eat after about 8pm is a bit of a struggle (*). (*) To be fair, the night market on the main square was closed for renovation when we visited Savannakhet in March 2018 and this restricted our dining options. Even managing to find a couple of decent bicycles for rent was no easy task in Savannakhet. Eventually, we found a Frenchman (why do you always find a Frenchman in the back of beyond of their former empire, but never a Brit in the back of beyond of theirs?) who owned a small guesthouse and had a couple of bikes for rent. We got talking to him in that usual French versus English kind of way (you’ll know what I mean if you are either French or English!) 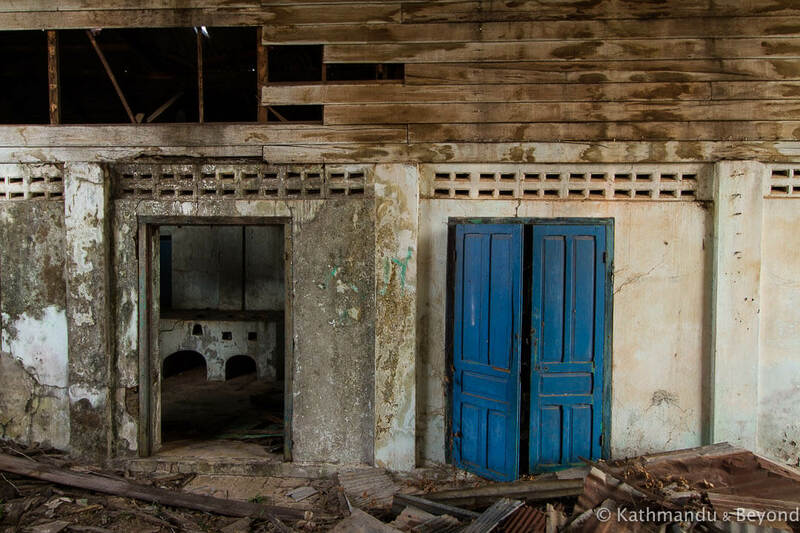 and eventually got onto the subject of the many dilapidated and abandoned buildings in Savannakhet. We asked if it was possible to get inside any of them. He replied with that classic French shrug which neither confirmed nor denied. 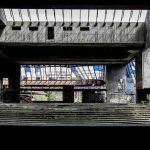 After a little more discussion (it was obvious he was testing us), he decided to tell us about a nearby abandoned cinema and how to get inside it. We were grateful but hungry for more and so asked if there was anything else worth exploring. “Mais oui,” he replied with yet another shrug! “See how you get on with this one and maybe I can tell you about some more.” Like eager school children, we would complete our ‘homework’ and ride back and see him for another assignment! 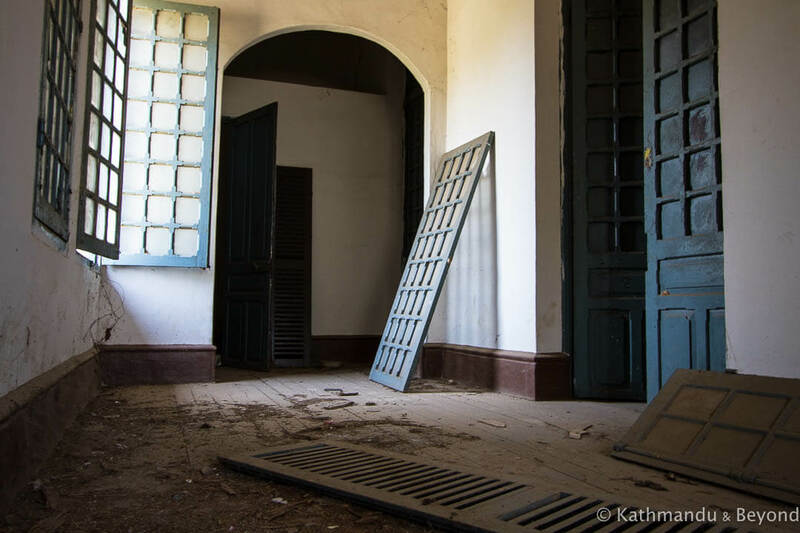 As well as the cinema, we got inside an abandoned villa that used to be the city’s provincial museum (and before that, the French governor’s house), and another villa that was formerly used to store rice. Our last undertaking of the day was a disused sugar factory on the outskirts of the city. He showed us some photos taken on his phone and the building looked excellent. We were excited and found the place without any issues but the three unpleasant dogs at the entrance were determined we weren’t going to get inside. In typical Asian fashion, an old lady sitting nearby just watched as we attempted to shoo the dogs away. We mimed to her that we wanted to take a look inside and could she call the dogs off but she was having none of it. Not because she didn’t want us to go inside the factory, she didn’t care about that, but because she couldn’t be bothered to get up off her spot and come and sort the dogs out, which for us, was more annoying than being told straight off that we couldn’t enter the building! As for the three buildings we did get to explore, I can’t provide a whole lot of information about any of them. 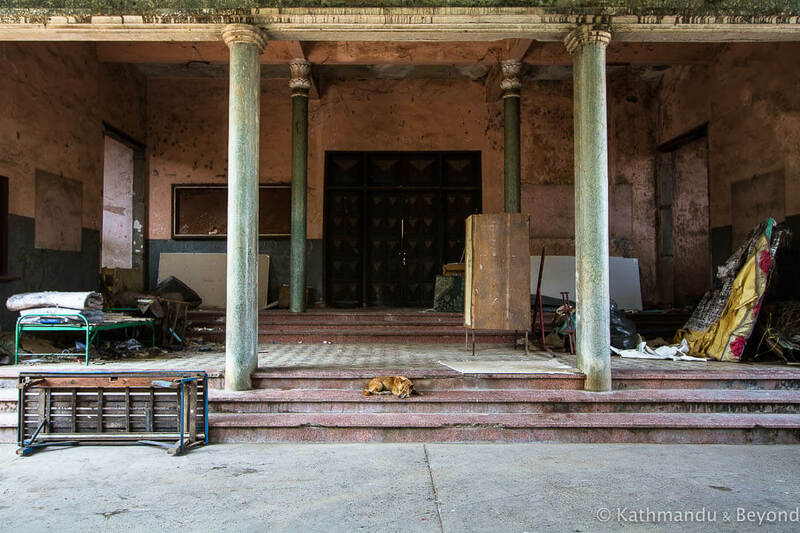 Of the three, the abandoned villa (the former provincial museum) was the most interesting. The front door was wide open and the guard, who was initially asleep when we turned up, didn’t seem to mind us going inside. 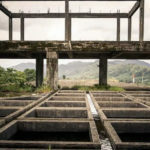 There was some evidence that maintenance work had been carried out at some point in the past but there was no activity whatsoever when we were there. 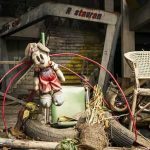 There is a new provisional museum in Savannakhet and presumably, most of the exhibits have been moved there. 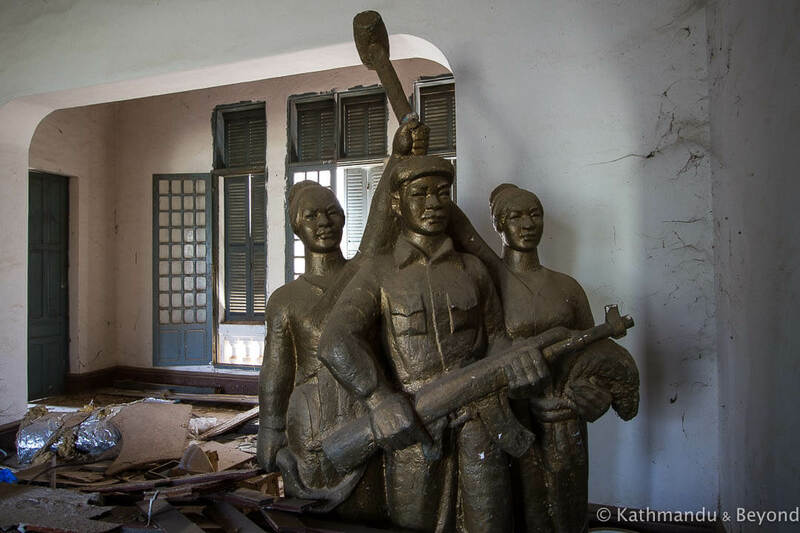 A rather dominating Communist-era monument just inside the front entrance to the villa was the star of the show and clearly not wanted at the new provisional museum. Both Kirsty and I instantly thought what a superb house or boutique hotel the villa would make but you have to presume that somebody has already thought of that idea, purchased it for a bargain price and is simply waiting for the right time to convert it to such! 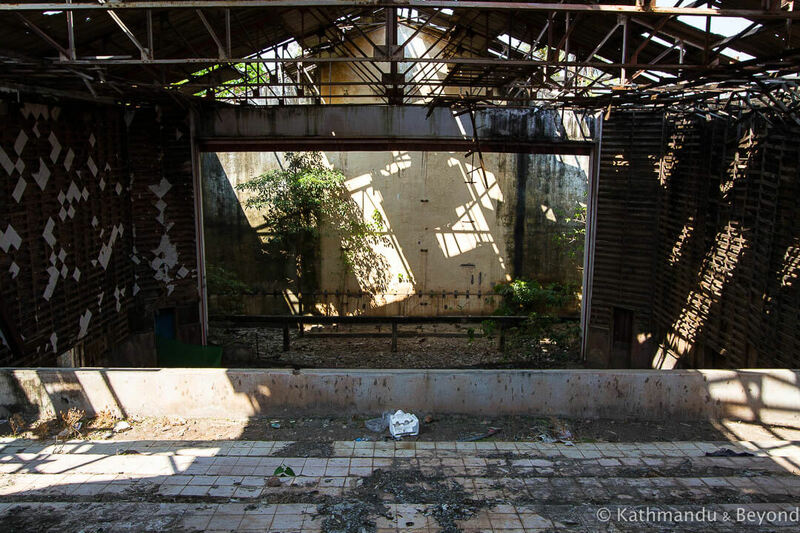 There are in fact two abandoned cinemas in Savannakhet and we got into both, which I think impressed the Frenchman! 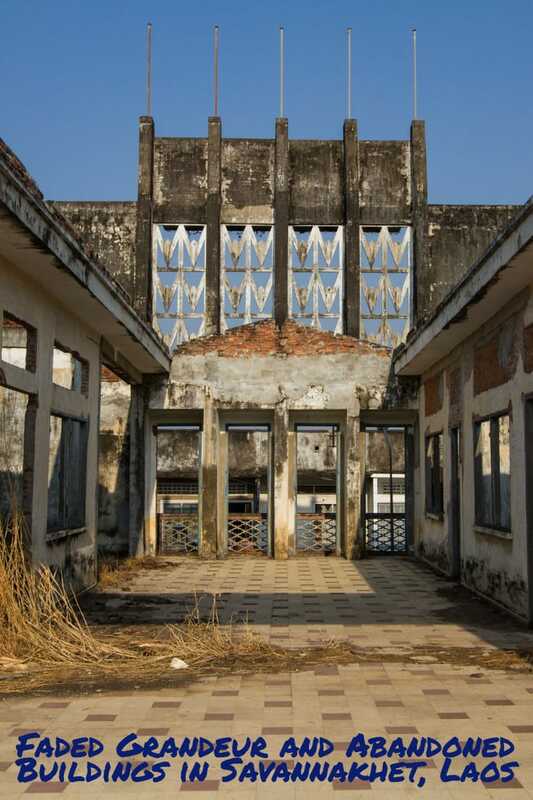 It was he who told us about the Sengchaleun Cinema and how to get inside it, but as luck would have it, we were standing outside the (architecturally) far more impressive Khounsavan Cinema when someone came along and unlocked its iron shutter. For what reason, I’m not sure given the building is no longer used as a cinema, but he was friendly enough and when we approached and asked if we could take a look inside he obliged and opened up the auditorium for us. Unfortunately, it was so dark inside that none of the photos we took have come out, but the exterior of the cinema is a delight and we spent some time admiring it. As per the Frenchman’s instructions, we headed to the alley directly behind the Sengchaleun Cinema in order to get inside. About halfway down the alley, there is a once-grand entrance with a set of stairs on each side, both of which lead to the upper-auditorium of the cinema. From this point, you have access to the cinema’s roof and a close-up view of the structure’s distinctive facade. The afternoon is the best time to visit if you want to photograph it in the best light. It’s not possible to get into the lower-auditorium. There is an open doorway but it leads to a private house and the owner appears to be using this part of the cinema as a chicken coop. Still, the interior of Sengchaleun Cinema is still worth exploring and the people that call the alley home are friendly and have no issues with you going inside. It was the same experience when we went to the villa that was formerly used to store rice. There is a small restaurant inside the grounds and the owners double as guards for the property but, apart from coming over to see what we were up to, they had no issues with us poking around. You can’t get inside the villas and you probably wouldn’t want to anyway, it looks very unsafe, but you can look around the back (where the kitchen used to be) and, if you visit in the late afternoon, the light is perfect for photographing the villa’s marvellous exterior. 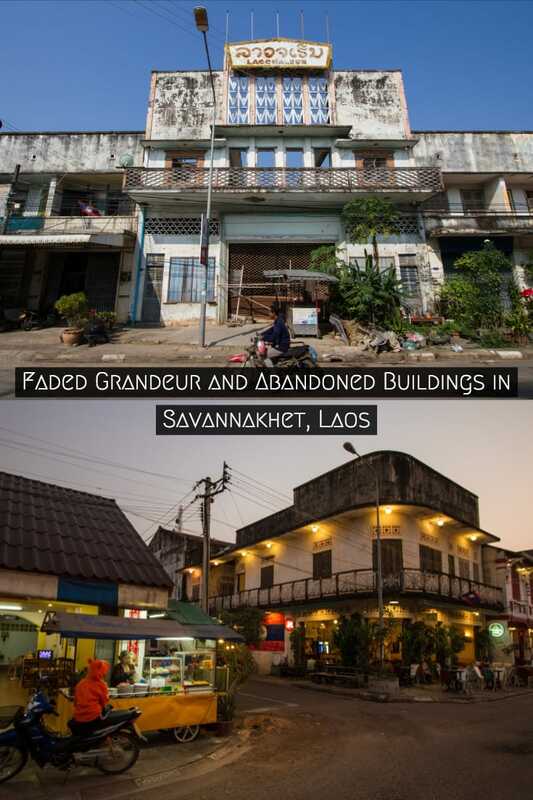 At the request of the Frenchman, I’m not going to divulge the exact locations of the three abandoned buildings mentioned above but, the old part of Savannakhet is very small and locating them for yourself shouldn’t be that difficult. Better still, make friends with the Frenchman and hire a couple of bikes from him and I’m sure he will point you in the right direction! Mark these places are neat to explore. 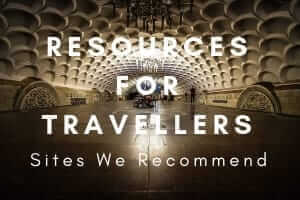 Off the beaten path towns or spots give you a glimpse into the past, raw and unfiltered. Reminds me of Kep, Cambodia. 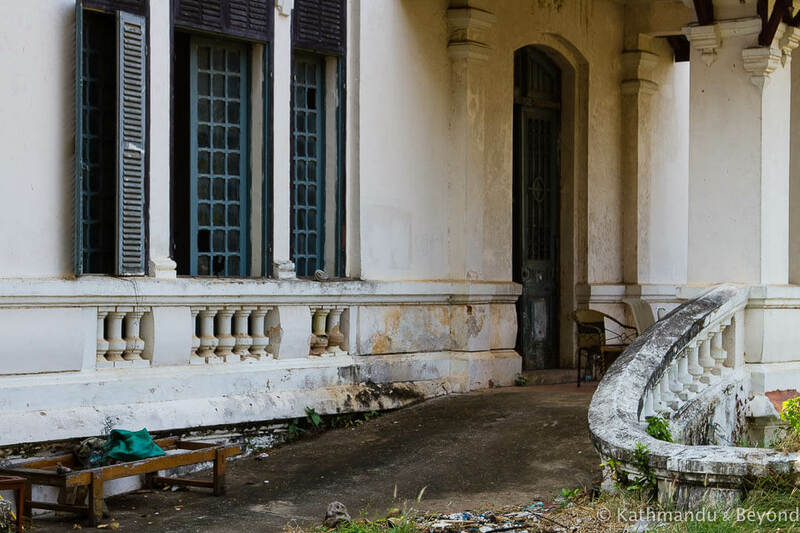 All those mansions by the water basically being taken over by nature, not inhabited since wealthy folks fled from the Khmer Rouge in the 70’s. Fascinating. Tweeted for you.